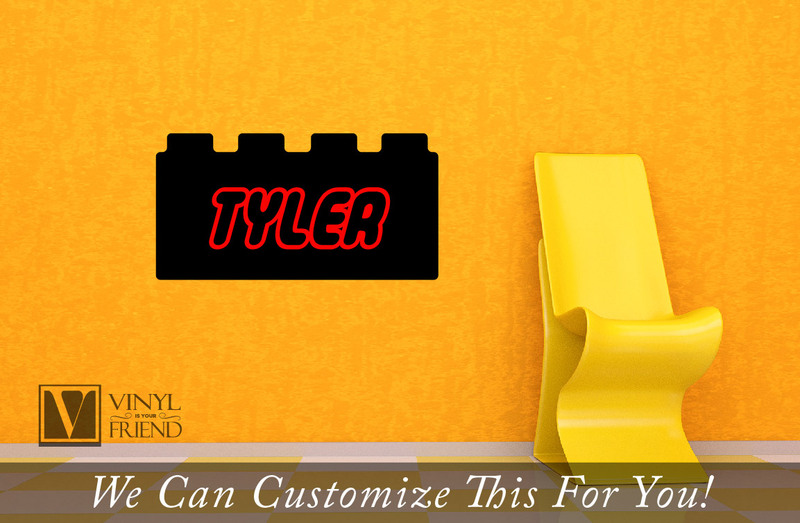 a custom name inside a lego brick for your kids room! This is 2 colors. 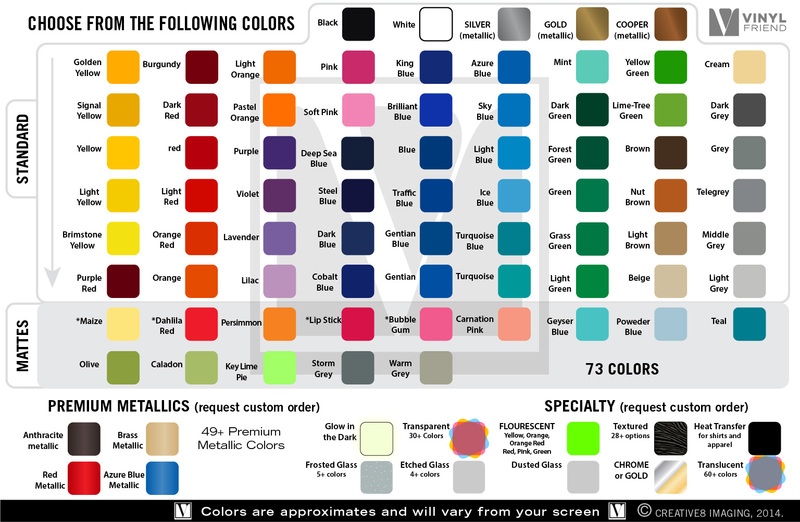 Color drop down menu is for brick color. 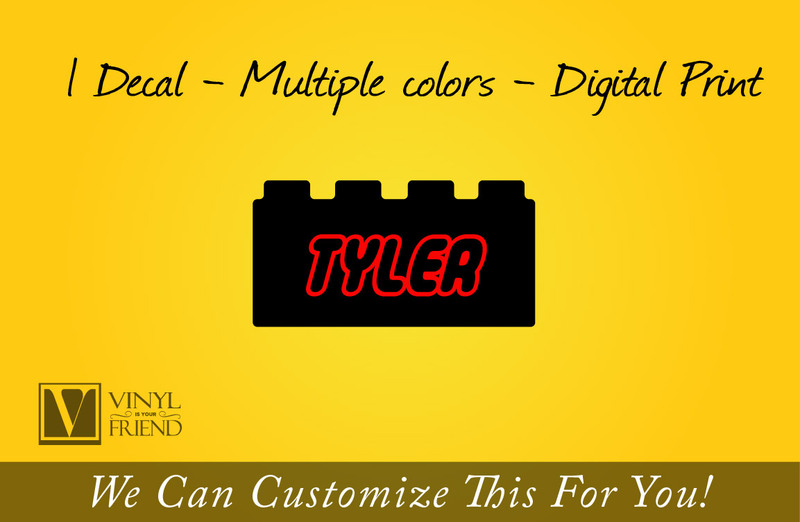 Add note with the name and name color.